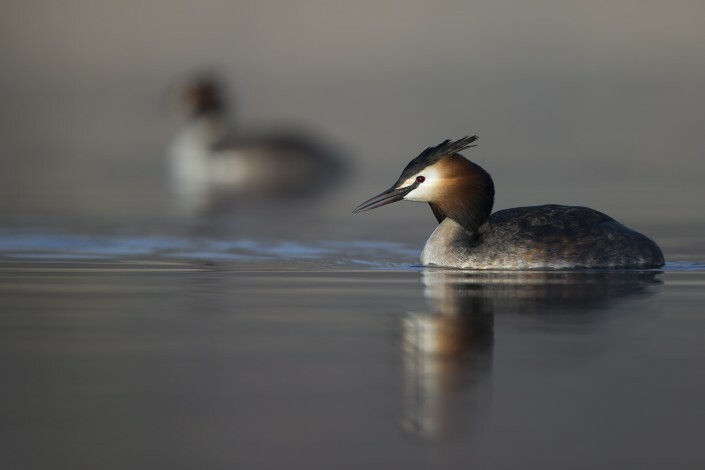 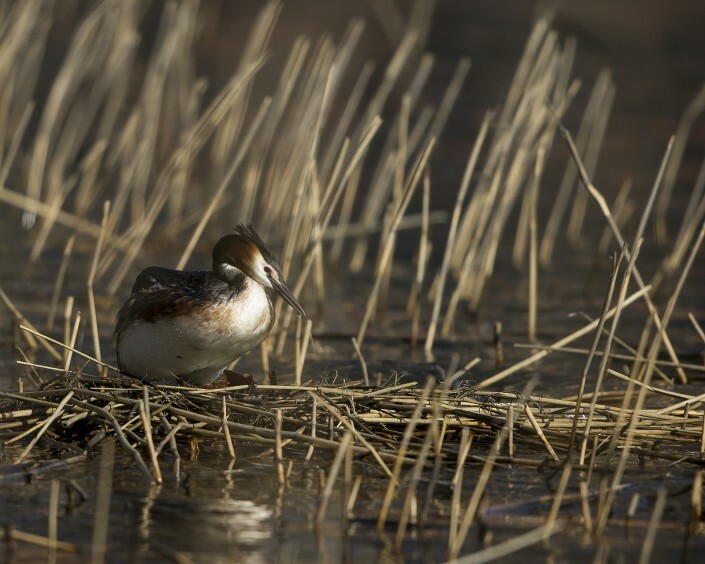 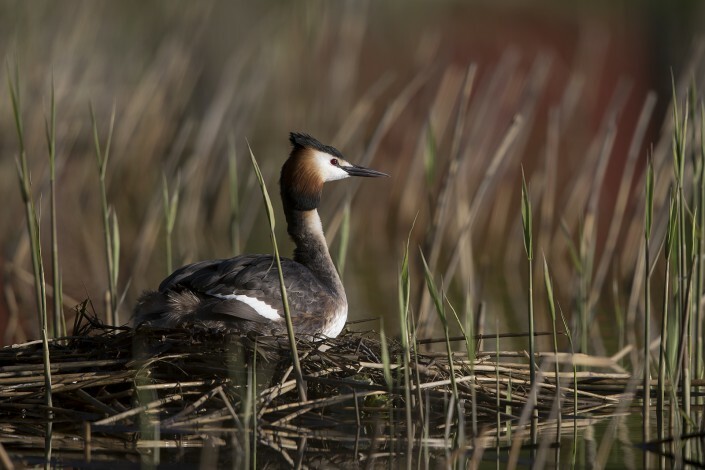 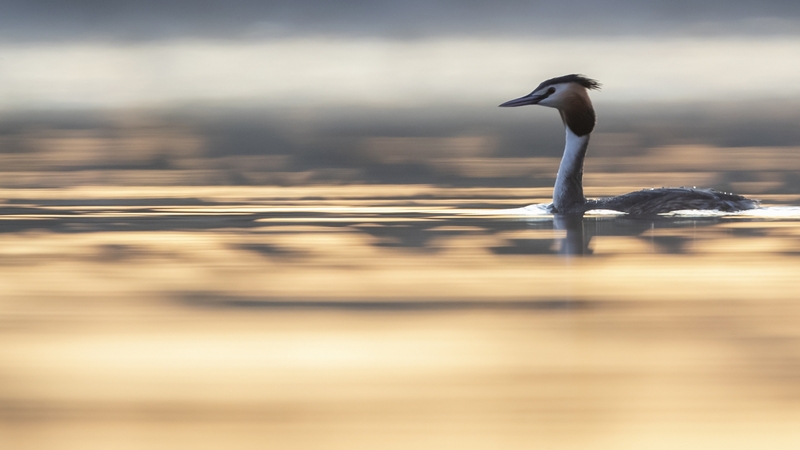 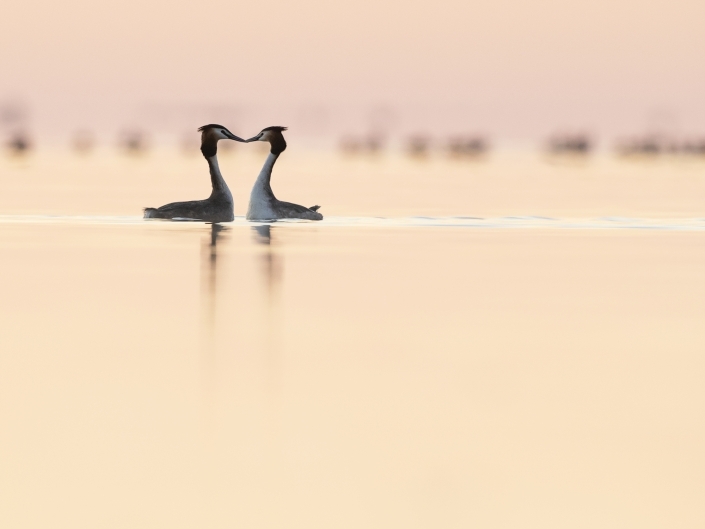 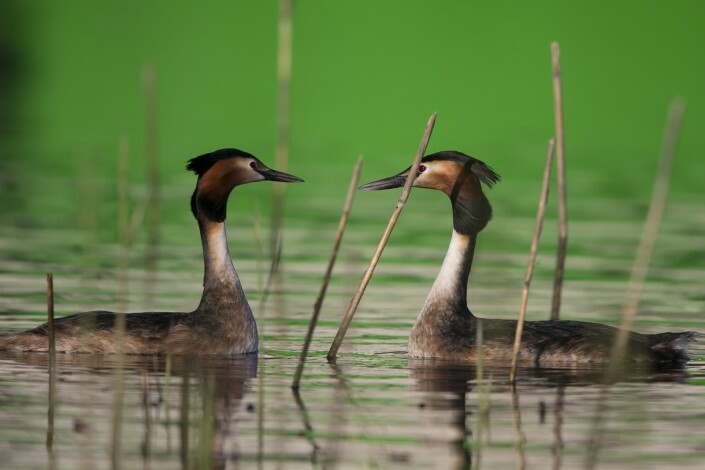 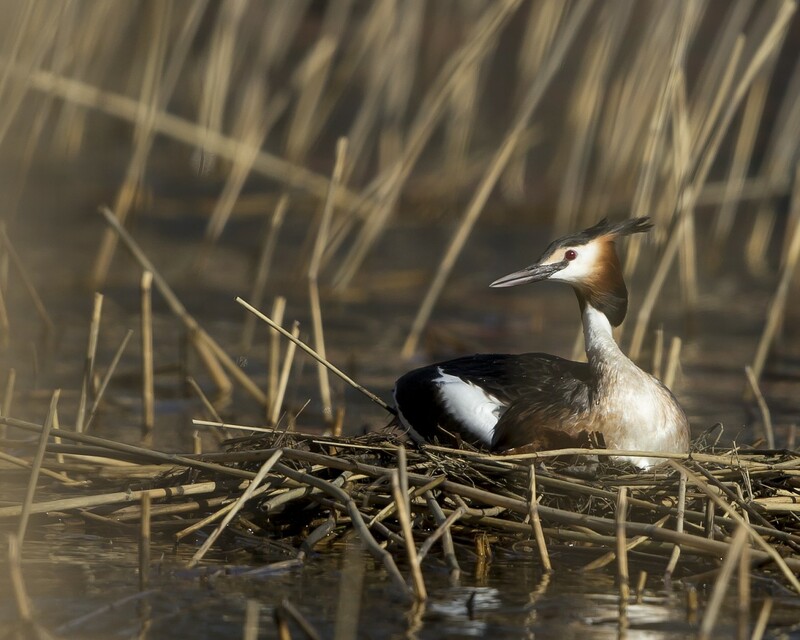 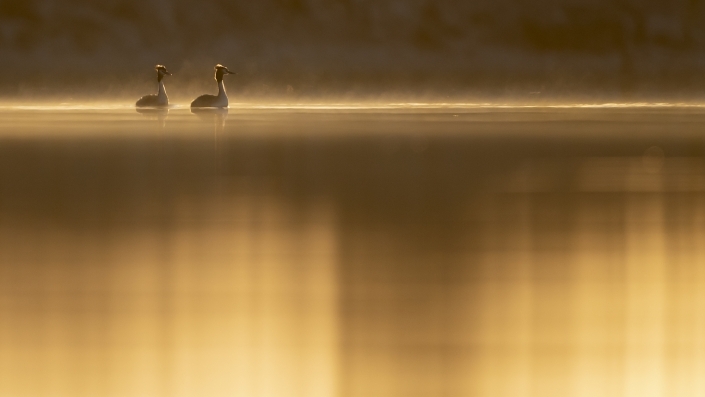 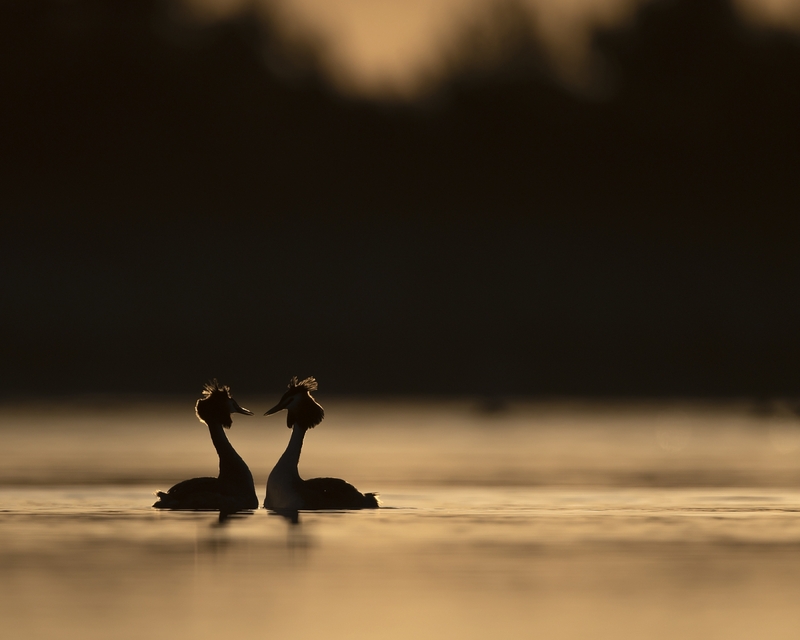 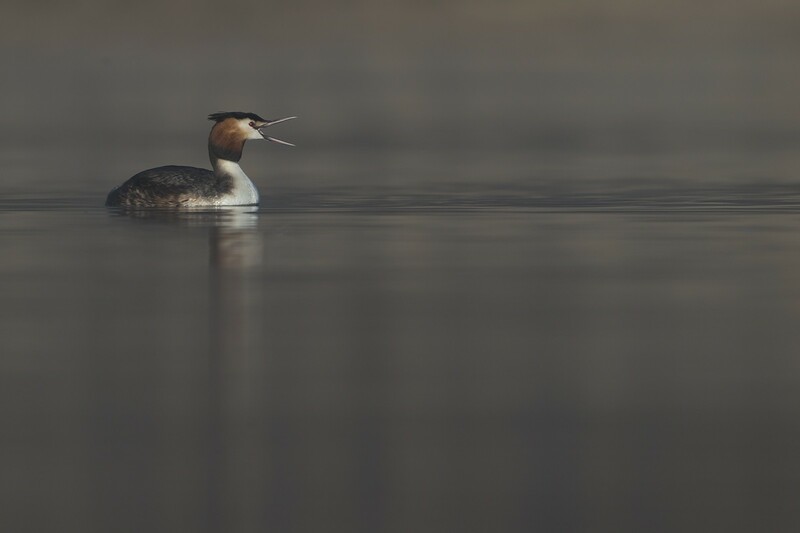 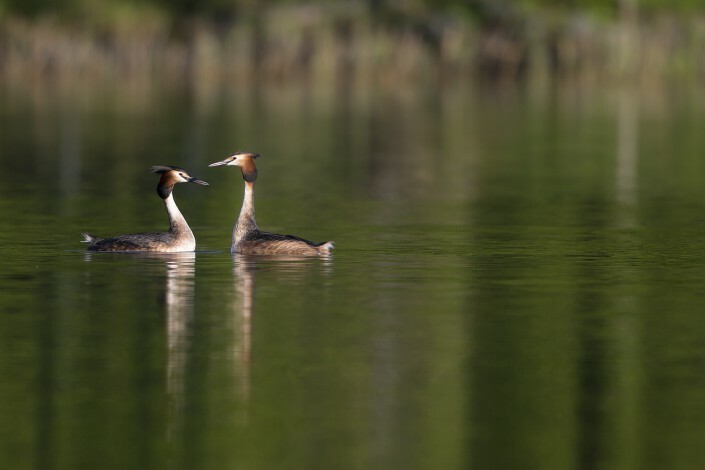 The great crested grebe is the largest member of the grebe family found in the Old World, with some larger species residing in the Americas. 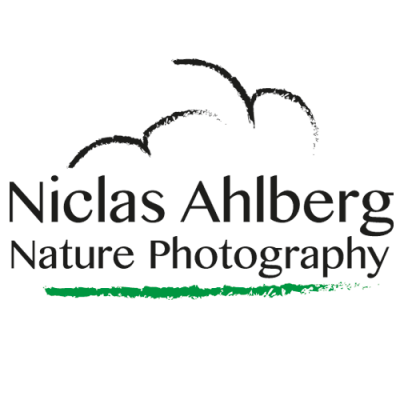 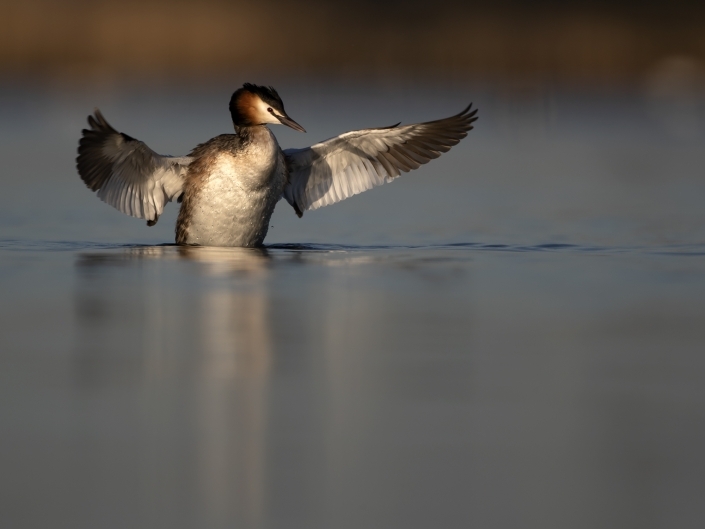 They measure 46–51 cm (18–20 in) long with a 59–73 cm (23–29 in) wingspan and weigh 0.9 to 1.5 kg (2.0 to 3.3 lb). 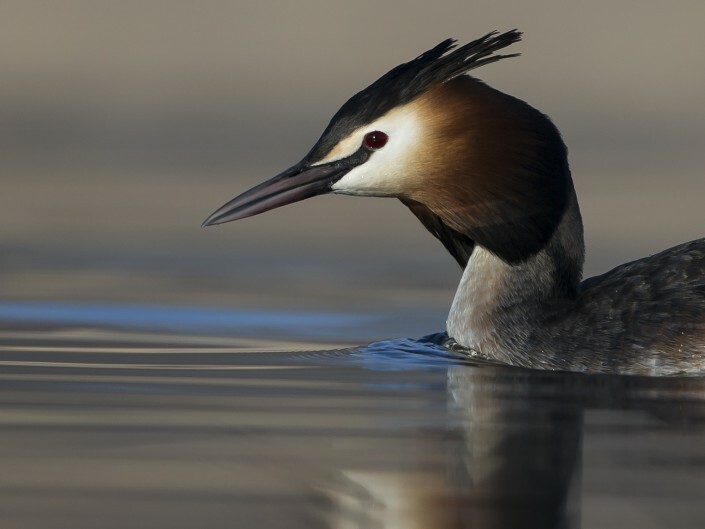 It is an excellent swimmer and diver, and pursues its fish prey underwater. 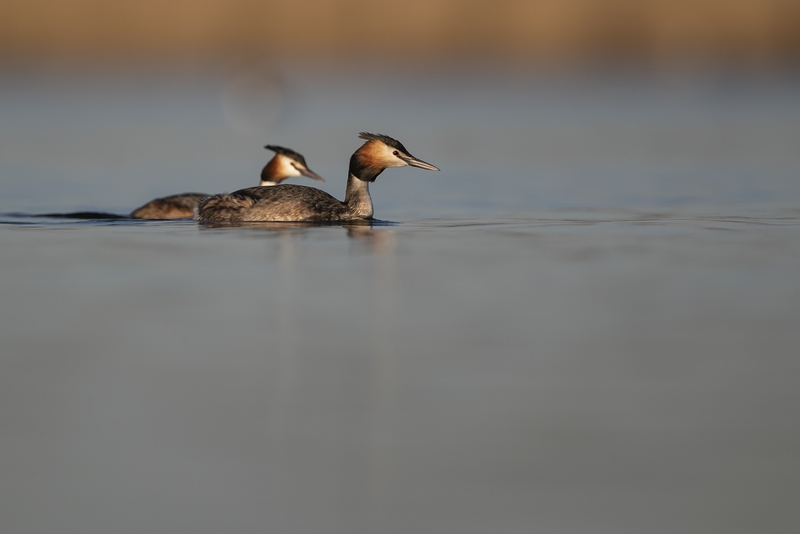 The adults are unmistakable in summer with head and neck decorations. 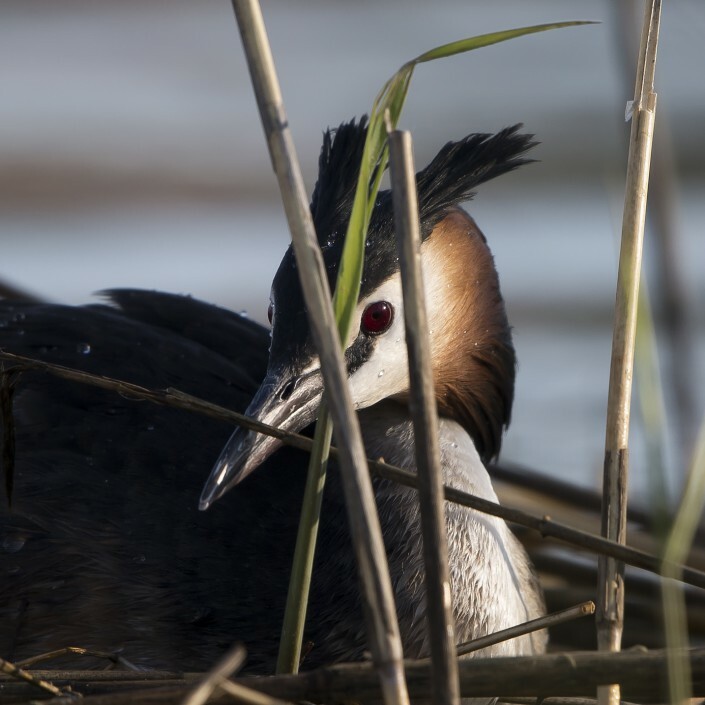 In winter, this is whiter than most grebes, with white above the eye, and a pink bill. 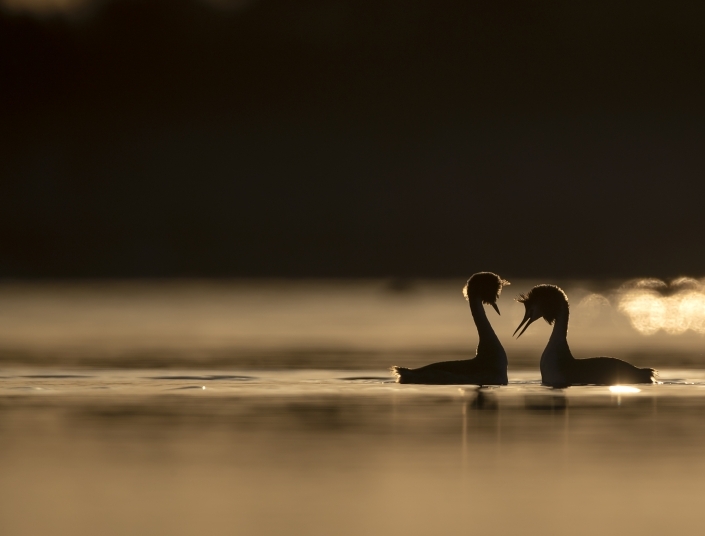 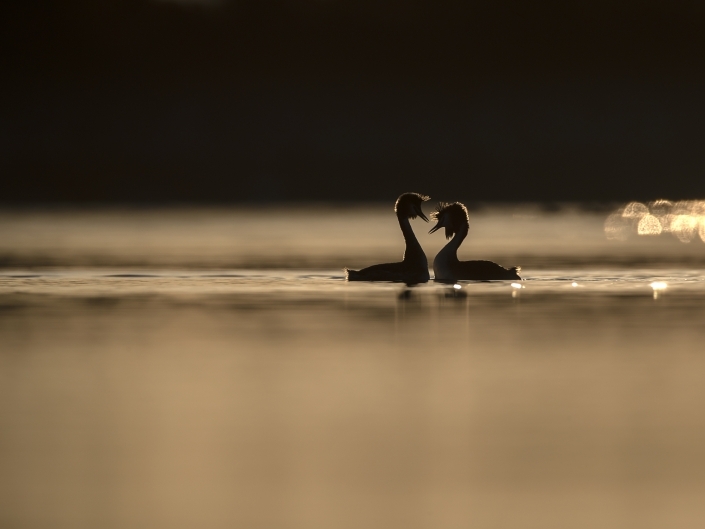 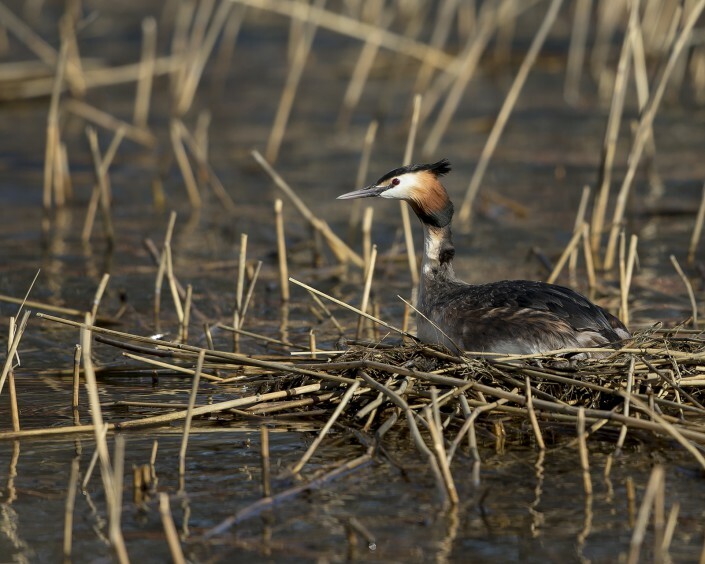 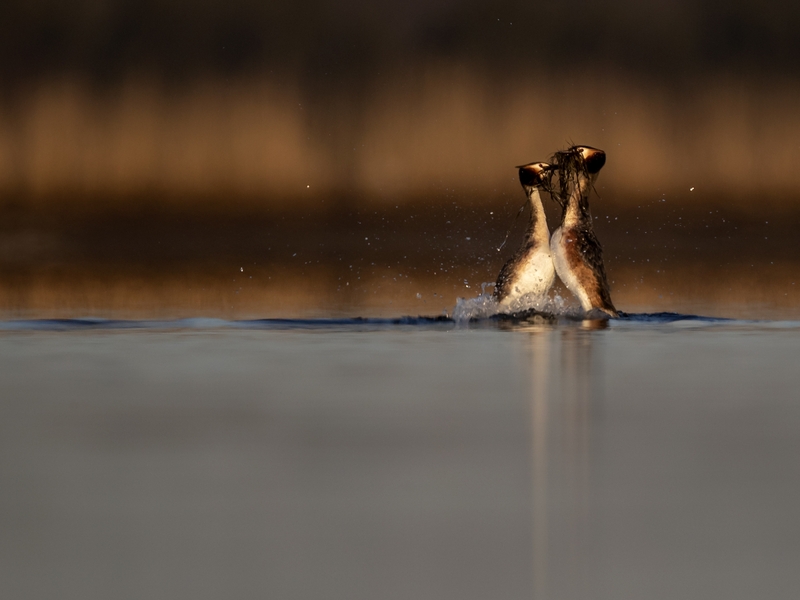 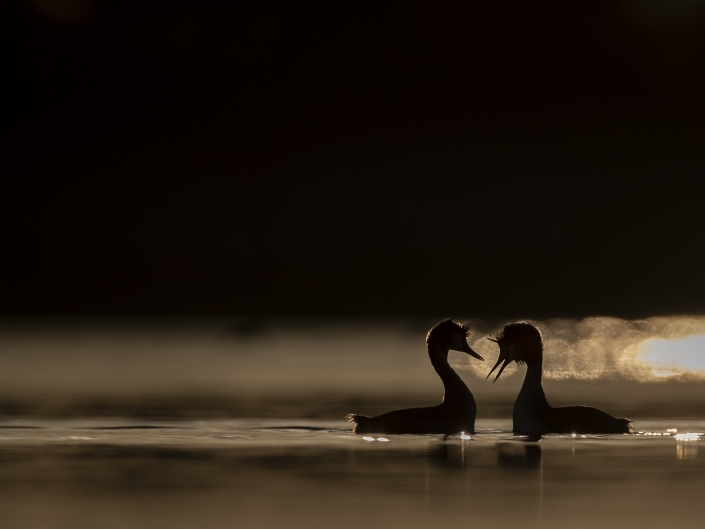 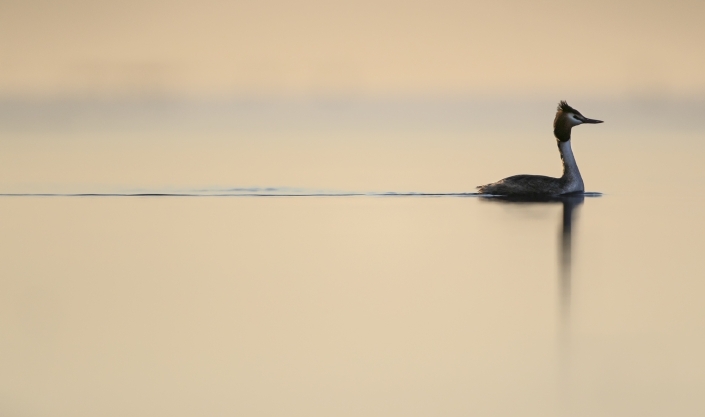 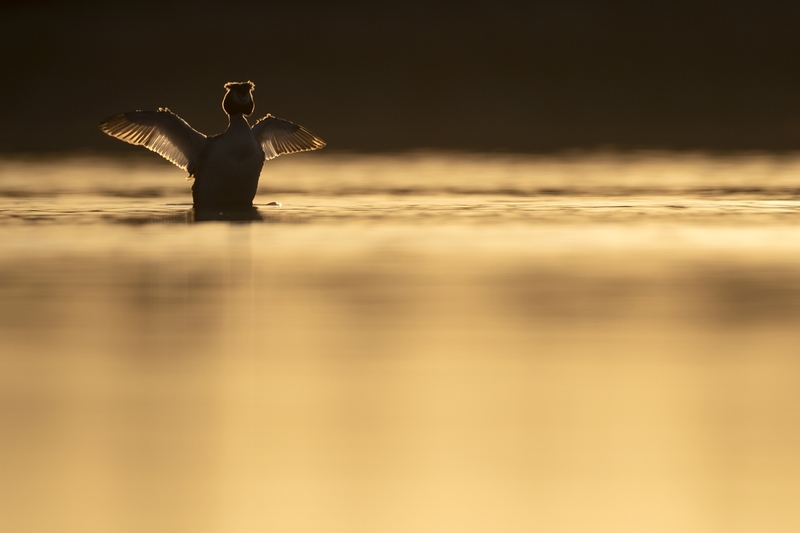 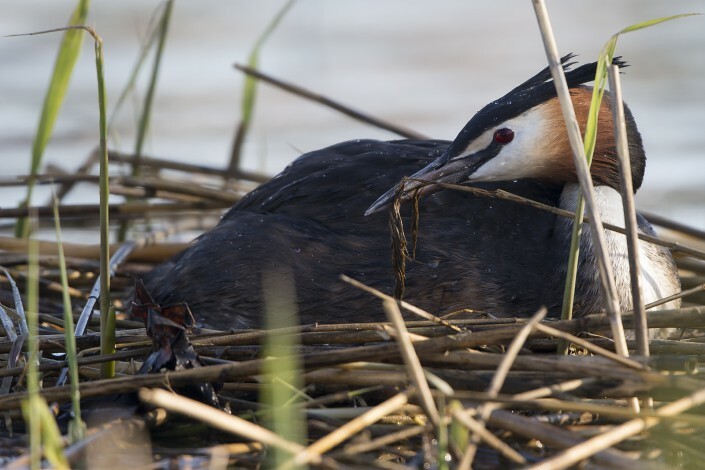 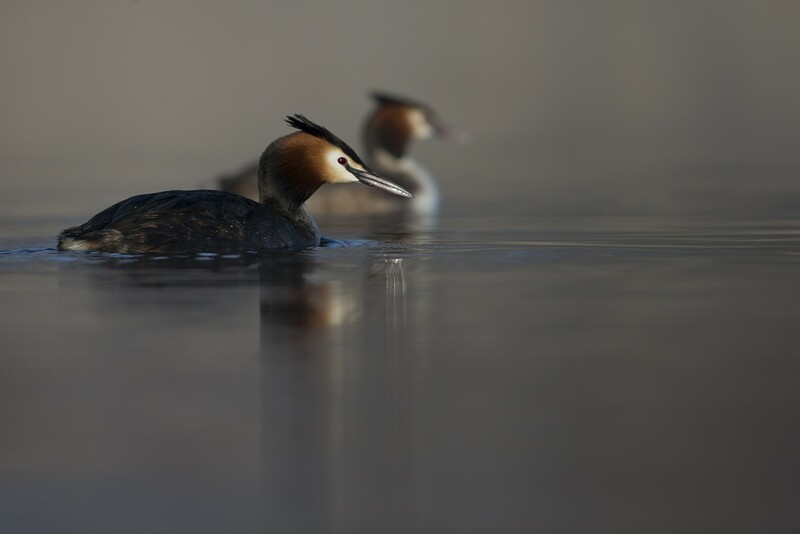 Unusually, young grebes are capable of swimming and diving almost at hatching. 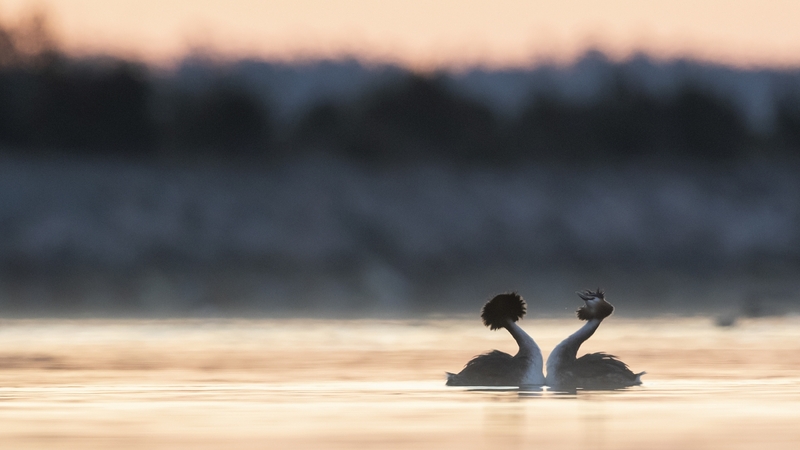 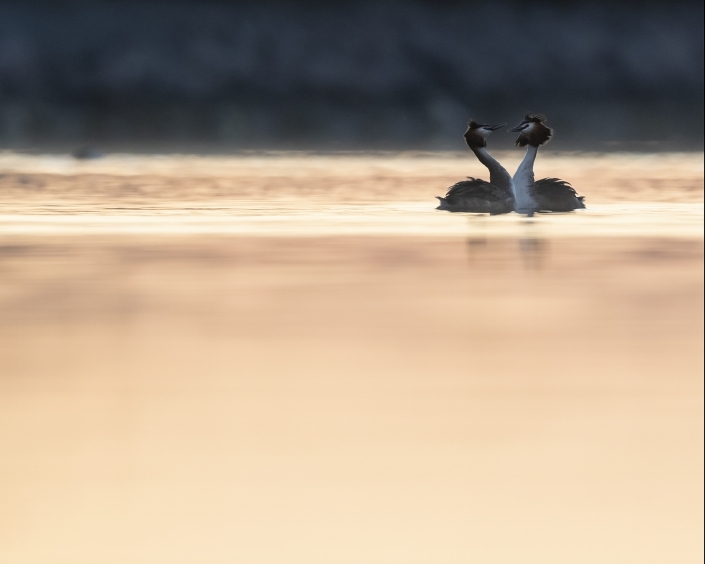 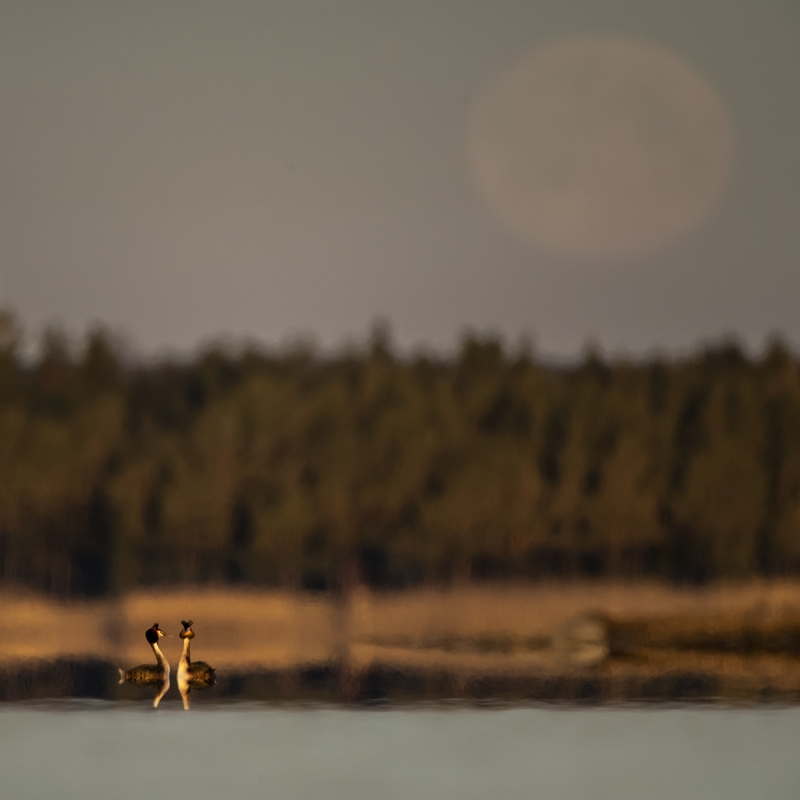 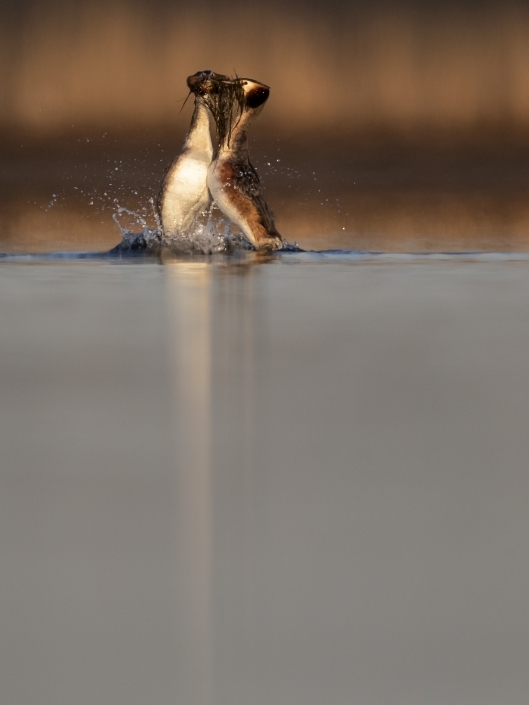 The adults teach these skills to their young by carrying them on their back and diving, leaving the chicks to float on the surface; they then re-emerge a few feet away so that the chicks may swim back onto them.